Bucharest, November 5th 2015 - How to Web Startup Spotlight proudly presents the 32 tech startups that have been selected to attend the competition & mentoring program. The finalists will meet 50+ trusted mentors, investors and potential commercial partners, will get the chance to close deals and will compete for the 20.000 USD cash prizes offered by IXIA, main partner of the program. 32 tech startups from Bulgaria, Croatia, Greece, Latvia, Moldavia, Poland, Romania, Slovakia, and Hungary will attend the 4th edition of How to Web Startup Spotlight. They are working on tech products with disruptive potential at global scale in fields such as software, hardware, Internet of Things, mobile, fintech or medtech. A professional jury selected the finalists taking into consideration criteria such as the team fit & experience, market size & trend, market validation, traction, customer acquisition cost, scalability, and overall feasibility. Who are the How to Web Startup Spotlight 2015 finalists? 1. BatSuite (Slovakia): a smart-watch and mobile application that helps blind people navigate in their surroundings. 2. BranchTrack (Latvia): an efficient online tool that helps you create better and faster trainings in sales, customer service, telemarketing and other areas using simulated customers to engage and motivate learners. 3. Catwalk15 (Romania): mobile application that offers users instant fashion advice & style inspiration, anytime, anywhere. 4. Crowdio (Bulgaria): a worldwide online web chat for companies to boost their Internet sales by converting their leads into real customers. 5. EDM Designer (Hungary): a drag and drop editor that helps users create stylish & responsive HTML e-mail templates in a matter of minutes. 6. Fentury (Moldavia): the new generation personal finance manager that helps you analyse, plan and save your finances on your smartphone, anywhere & anytime. 7. FireVibes (Romania): a portable music player, built as a companion for the user’s main device (phone, laptop, PC), that doesn’t require an external amplifier for the powerful, professional headphones. 8. FreeWiFi (Romania): a platform dedicated to all companies who offer WiFi connection in public areas and want to get more details about their clients and create targeted mobile marketing campaigns. 9. GameGif (Romania): a mobile app showing 7 second videos of actual gameplay so gamers can quickly get a feel of a game and decide on the spot if they want to download it or move on to the next one. 10. Gaming Battle Grounds (Bulgaria): an eSports platform where gamers join and create online tournaments in games. 11. Gigalize (Greece): an online community platform that helps you create & support campaigns to bring your favorite artists in town. 12. Grajdanite (Bulgaria): a mobile application that monitors and controls the traffic on the road, sends notifications to users and allows them to report violations of the law. 13. InnerTrends (Romania): a user analytics service that allows companies to better understand their consumers' behavior by receiving faster personalized answers. 14. Jaboo (Romania): A set of smart wristbands that accelerate and improve the athletes' techniques by tracking their speed, force or training patterns. 15. Lighty (Romania): the world's first smart mobile projector with robotic capabilities: powerful pico projector, panoramic movement, voice control & wireless connectivity. 16. Melissa Climate (Bulgaria): a mobile app that helps you save energy & money by smart controlling your air conditioner from everywhere. 17. Monday (Romania): B2B platform that helps gyms and nutrition clinics to bring technology to their products & services, improve the interaction with their clients, facilitate the sale of new products and attract new customers. 18. MyTeleTouch (Bulgaria): a universal controller for smart TV, game consoles, PC and set top boxes. 19. Onyx Beacon (Romania): helps companies to develop context aware mobile applications for retail and events. 20. PKRM (Poland): A location based services platform based on patented mobile phone detection. 21. Retargeting.biz (Romania): real-time retargeting software that allows companies to interact much faster with the most interested consumers in their online products. 22. SafeDrive (Romania): a mobile app that enhances road traffic safety by rewarding drivers for NOT texting while driving with points that they can later use for products from a wide network of partners. 23. Scooterson (Romania): the world’s first electric kick-scooter that connects to mobile devices to display speed, battery & ride statistics and uploads relevant data in the cloud for sharing with friends. 24. Seeds Unified (Romania): a platform for data collection and analysis for heavy data gatherers. 25. SpringTab (Hungary): digital platform for auto-personalized content publishing. 26. Sybrillo (Hungary): waterproof device that can help users take advantage of their GoPro's high definition footages, while also enjoying remote controllability, stabilization and motion control. 27. Symme3D (Romania): multifunctional Delta platform for 3D printing, PCB milling, laser engraving, pick and place. 28. Tickey (Bulgaria): an urban transport ticketing app that allows users to pay transportation fares via smartphone and uses iBeacons technology to locate the vehicle they are traveling with. 29. TinTag (Romania): the first rechargeable tracking device for your lost items whether they’re keys, bags, or pets. 30. Tourgent (Croatia): business management software for bus charter companies. 31. Transit Art (Poland): platform that helps transport companies visualize passenger information easier through their websites and mobile apps. 32. Wyze (Hungary): a web-based application that gives you an automatic categorization of your finances by aggregating data from multiple financial accounts. Developed in partnership with IXIA, with the support of Telekom Romania, Bitdefender, CyberGhost, Microsoft, Avangate, hub:raum, the Canadian Embassy in Romania, Mozilla, Okapi Studio and EIT Digital, How to Web Startup Spotlight will start on Wednesday, November 25th, with a pitching session. A professional jury will select the 8 teams that will be pitching their products on the main stage of the conference. During the second part of the day, the startups will be invited to attend a series of workshops and dedicated events that will take place at TechHub Bucharest. On November 26 and 27, the Startup Spotlight finalists will attend How to Web Conference 2015, where they will meet potential investors and commercial partners, they will pitch their product on one of the two stages of the conference, and will compete for the 20.000 USD cash prizes offered by IXIA, main partner of the program. 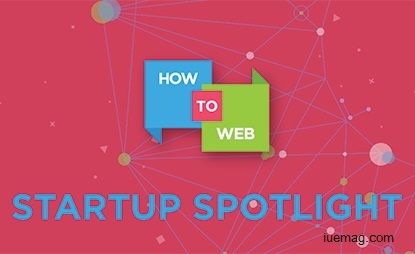 Startup Spotlight is organized along with How to Web Conference 2015, the most important event on tech innovation and entrepreneurship in South Eastern Europe that will bring together 1000+ startup founders, product managers, developers, marketers, and community leaders. Beyond high quality content and excellent networking opportunities, the attendees will meet some of the best & brightest tech startups in the region and will get to feel the vibe of the CEE startup ecosystem at its best. Early Bird tickets are available on the conference website by Monday, November 16. Any facts, figures or references stated here are made by the author & don't reflect the endorsement of iU at all times unless otherwise drafted by official staff at iU. This article was first published here on 7th November 2015.